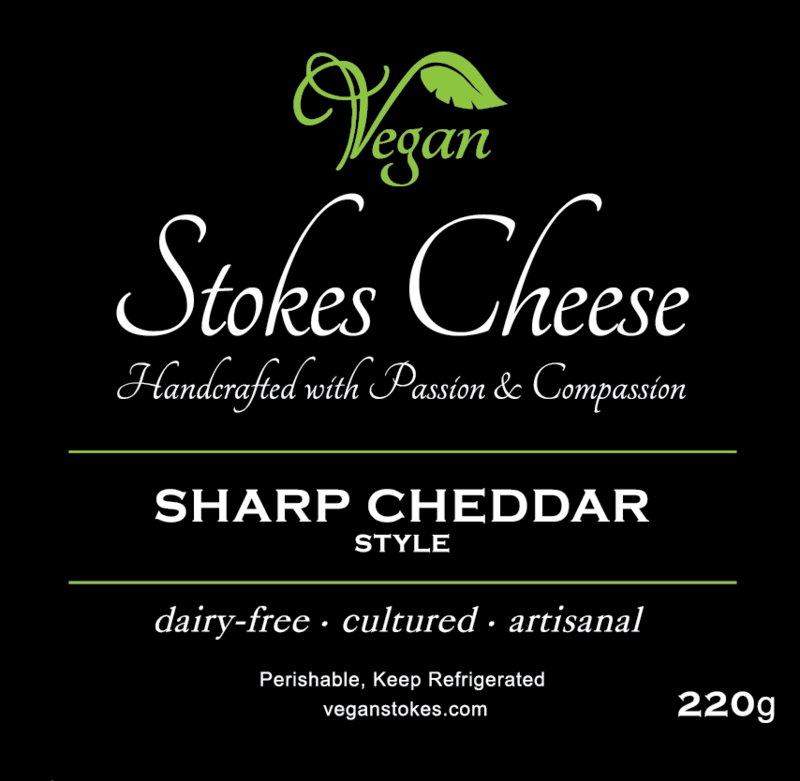 Vegan Stokes Cheese is handcrafted with passion and compassion in small batches, with a focus on producing outstanding alternatives to dairy. Similar to dairy cheese, all of our nut cheeses are made by a process of fermentation with our own vegan probiotic cultures and the finest ingredients. Our cultured rounds are aged to develop complex flavour with firm yet creamy texture. Ideal served on a classic cheese board and perfect for pairing with fine wine or beer. 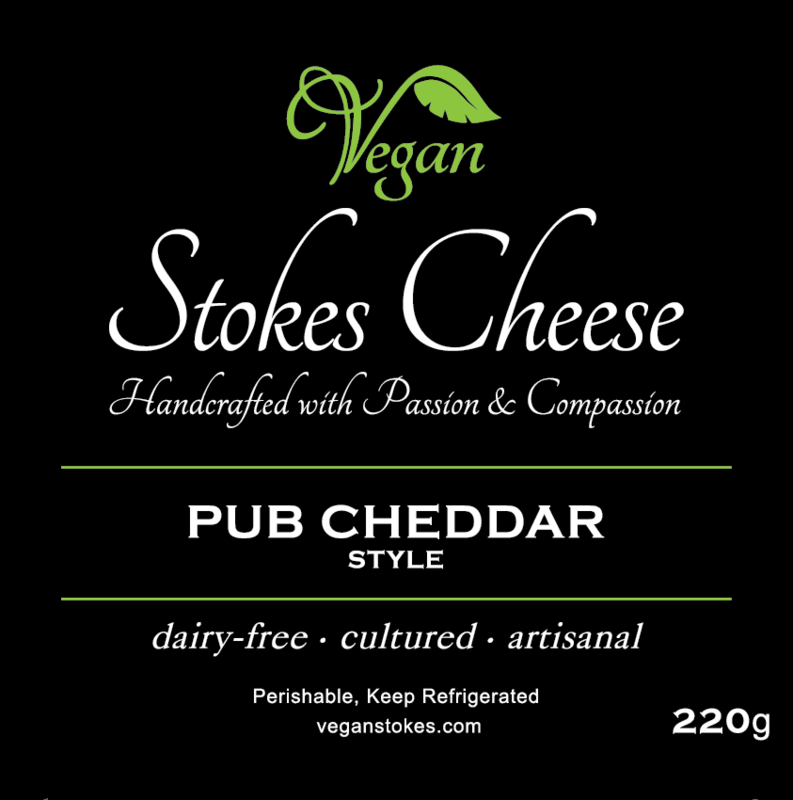 Cultured and aged, our Pub Cheddar is blended with dark beer and chives for a rich and savoury flavour. Rich and smoky, our Smoked Gouda is blended with white wine and aged for a sophisticated finish. Aged to develop complex flavours and a sharp, tangy finish, our Sharp Cheddar is reminiscent of a childhood favourite. Our smooth, spreadable cultured cheeses are oil-free and made with simple natural ingredients. Chock full of nuts and probiotics for rich creamy authentic flavor and a velvety texture. Perfect as a spread on crackers, bagels or wraps. Our spreads also make decadent yet simple pasta sauces when thinned with white wine or dairy-free milk. Our Sun-Dried Tomato and Basil spreadable cheese is bursting with flavour. This robust spread features chunky sun-dried tomatoes and aromatic basil. Our Fine Herb and Garlic cheese is a classic creamy spread, blended with a harmony of fine herbs. Reminiscent of a Boursin style cheese. Our Creamy Chive cheese is a flavourful, herb-studded spread. Satiny smooth and rich, this cheese is a crowd-pleaser. A phenomenal nut-free and dairy-free feta cheese that rivals its dairy counterpart, both in texture and flavour. Perfect to crumble on salads, pasta and wraps. Bakes beautifully in pastries or as a tasty pizza topping.